A city steeped in history has a responsibility to tell its stories. 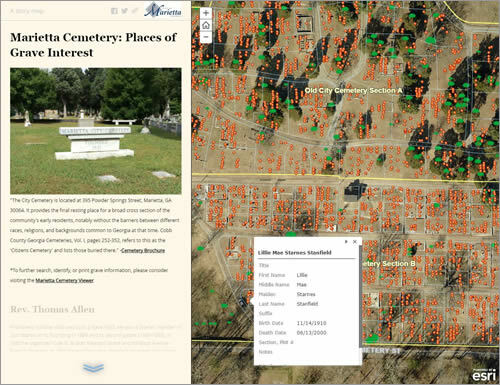 That's why the City of Marietta, Georgia, created Marietta Cemetery: Places of Grave Interest, an Esri Story Map Journal. The map of the city cemetery displays the locations of the graves of early city residents and tells the stories of some of its most notable citizens. They include Pastor Thomas Milton Allen, who was born into slavery and later helped found Zion Baptist Church, and Steadman Vincent Sanford, who served as chancellor of the University System of Georgia. Read the article and explore the story map. This story map shows the location of the final resting places of many early residents of Marietta, along with photos of their gravestones. 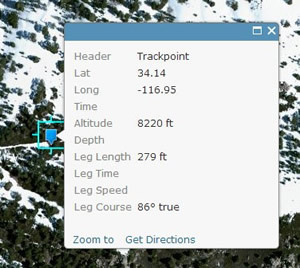 You can easily add GPS data, including waypoints, tracks, or routes, to your ArcGIS Online web maps. Find out how and learn to get more out of your GPS data. Read the tip. Parents in Dungannon, Northern Ireland, are happy that they can use an ingenious GIS-based web app to check if their children are eligible for school bus transportation, and apply for it online. Read the article. If you love geography, ocean science, imagery, and GIS, these seven books, including Andrea Wulf's The Invention of Nature, should top your summer reading list. Read the article. The story of Paul—the power company troubleshooter—and his problems with tree limbs and squirrels and his penchant for paper maps sparks a great idea for utilities. Read the article by Bill Meehan. The South Carolina Department of Health and Environmental Control uses ArcGIS to quickly develop web and mobile apps for colleagues, researchers, and the public. "Our staff simply couldn't do their job without GIS," says Jeannie Eidson, GIS manager for the department's bureau of information technology. Watch the video. See the organization's public apps. In the app world, GIS apps are a special breed: they're mapcentric and spatially aware. What other special powers do they hold? Read the blog. Marathon Oil analyzed GPS data from its vehicles using tools in ArcGIS, helping the company plan more efficient routes to and from its oil wells and reduce operating costs. Watch the video. Check out Esri's revamped support website, now organized into six main categories: Desktop, Server, Online, Developers, Apps and Mobile, and More Products. Read the blog. Visit Esri Support. Ben Conklin from Esri gave Trajectory On Location a whirlwind tour of Esri technology at the 2016 GEOINT Symposium. Get a taste of what you can do with ArcGIS Earth, ArcGIS Full Motion Video, Esri Story Map apps, and Operations Dashboard for ArcGIS. 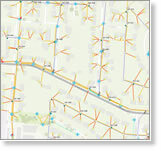 Conklin also provided a sneak peek at the type of analytics you will be able to do with Insights for ArcGIS. Watch the video. 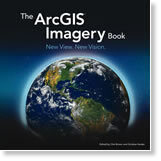 Esri updated ArcGIS Online, giving the item pages a new look and layout and additional functionality. "We hope these new item pages make working with ArcGIS easier," says Paul Ross, ArcGIS Online product manager. Read the blog and watch a video. Get a comprehensive look at all the instructor-led courses that Esri offers, from ArcGIS 1: Introduction to GIS to Building 3D Cities Using Esri CityEngine. Download the 2016 Esri Course Catalog. This presentation showcases the wide variety of Story Map apps created to suit your storytelling needs. You will see examples of the Story Map Cascade app and the Story Map Crowdsource app, both in beta. Learn more. Use the Hydro Hierarchy app to explore the networks of the largest rivers in the continental United States. The name of each river that your cursor touches will appear to the lower left of your screen, along with 2014 monthly flow data. View the map. Esri and the National Geographic Society are partnering to create a greener infrastructure for the United States. Esri will develop geospatial tools for planners who want to incorporate green infrastructure into their communities. Read Jack Dangermond's blog. 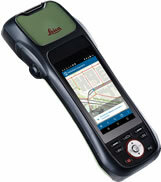 ZenoCollector is an all-in-one data collection solution that combines Esri's Collector for ArcGIS app with the Leica Zeno 20 device. Order today. Ned Cake, a GIS integration specialist for Tallahassee-Leon County GIS, talks about how app templates from Esri are speeding up his department's workflow and how ArcGIS Online was used to display evidence in a court case. Watch the video. Familiarize yourself with Esri's mission, people, and job openings at The Muse. Meet employees like user experience architect Whitney Kotlewski and marketing specialist Katie Decker and learn about the kind of work they do. Learn more.